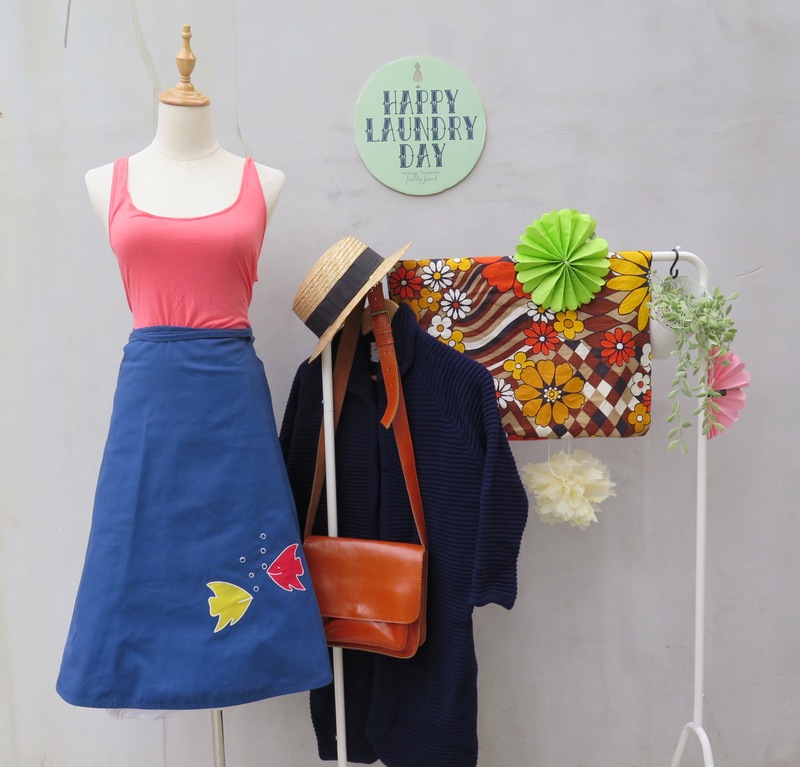 Who’s into kitschy retro 1950s/60s wrap skirts? We are! 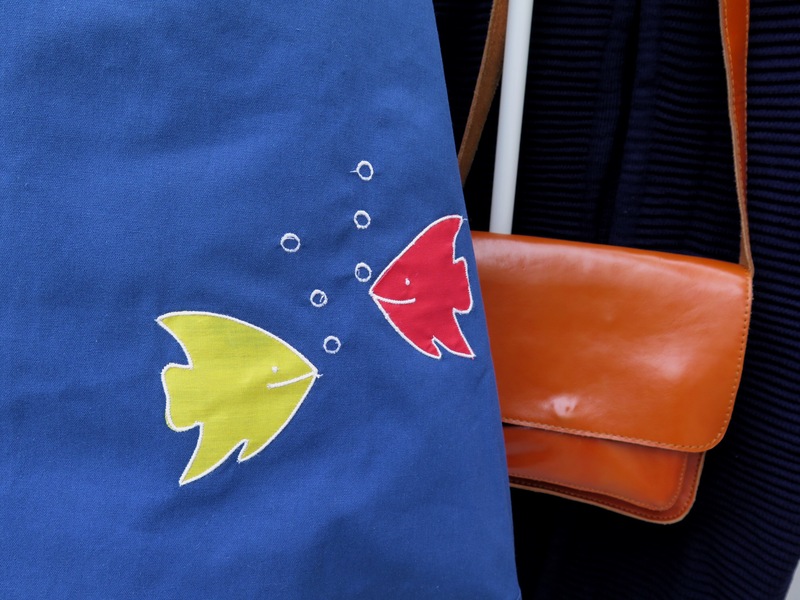 We simply love hunting them down, and whenever we get our hands on one, we leap for joy! This one in simple navy blue is great pairing for almost anything – white tank, white sneakers; or brown loafers and a cute cropped top; black heeled ankle boots and a red halter. You name it, it’ll go! 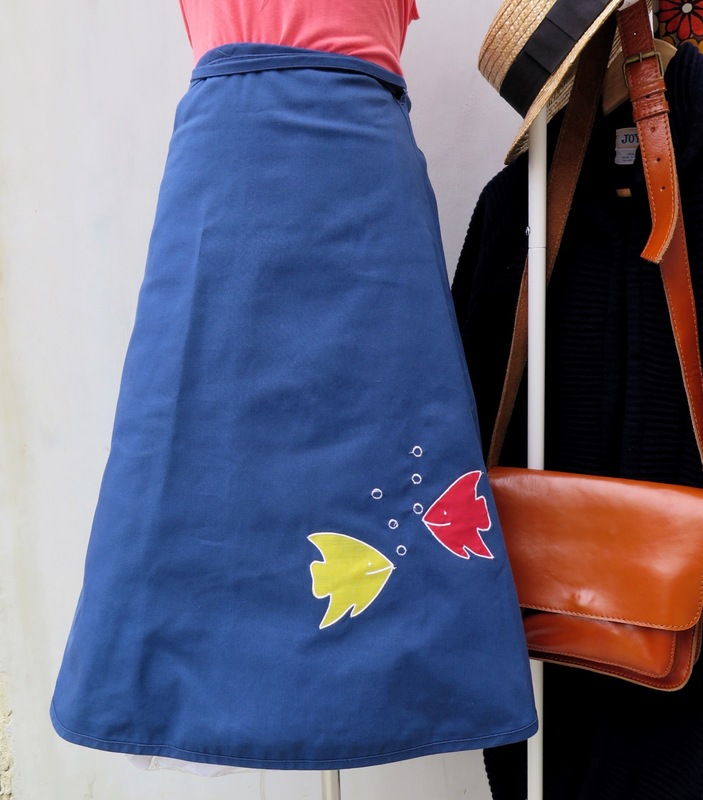 And the red and yellow appliqué fishes – best thing about this skirt!